New Bollywood action thriller release starring Indian heartthrob nawabzada Saif Ali Khan and the beauty queen Katrina Kaif, Phantom was set to give life to cinemas across the world on 28th august. With an amazing star cast and jam packed with action the film was expected to do great on charts in the mother land as well as over the border in its Bollywood loving neighbor, Pakistan. 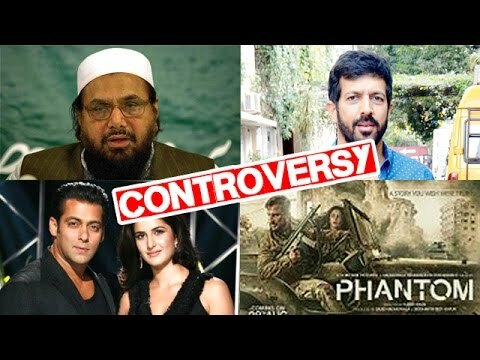 Everything was going well until the Pakistan Censor Board after reviewing Phantom deemed it unfit for exhibition in Pakistan. The news dropped as a bomb on the stars as well as the production of the film as they had expectations of good business from this side of the border. The country wide social media conflict was started when Pakistani industry’s stars started showcasing their views about Phantom, starting with the statement of TV industry’s superstar Mawra Hussain who has recently been given an opportunity of showcasing her talents in the bigger industry across the border. Her statement attracted more criticism rather than support when she posted the following tweets. 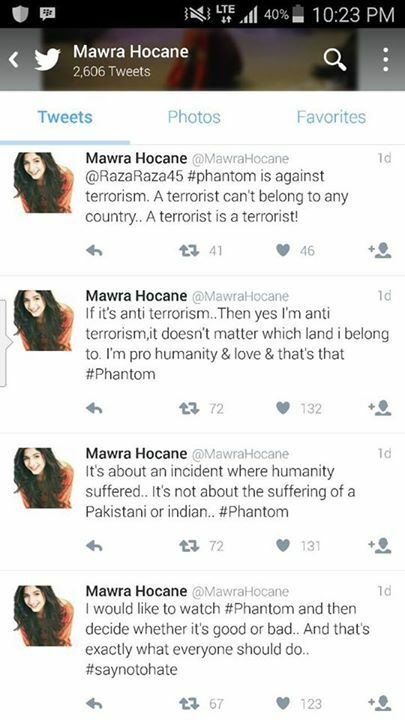 After these tweets of her another star of the industry came in light and gave his opinion about Phantom and about the statement of Mawra. Shan Shahid being a more senior actor and contributor of the Pakistani film industry gained much more attention as well as support of Pakistani fans who approved of Shan’s verdict of #banmawra. Next in line was Hamza Ali Abbasi who is already known for his bold and loud reviews about all matters that he thinks important. He has a large fan following and is never afraid of expressing his views. Hamza’s statement screen shot is given below. Followed by Hamza was another prominent name of the Pakistani TV, Faisal Qureshi. 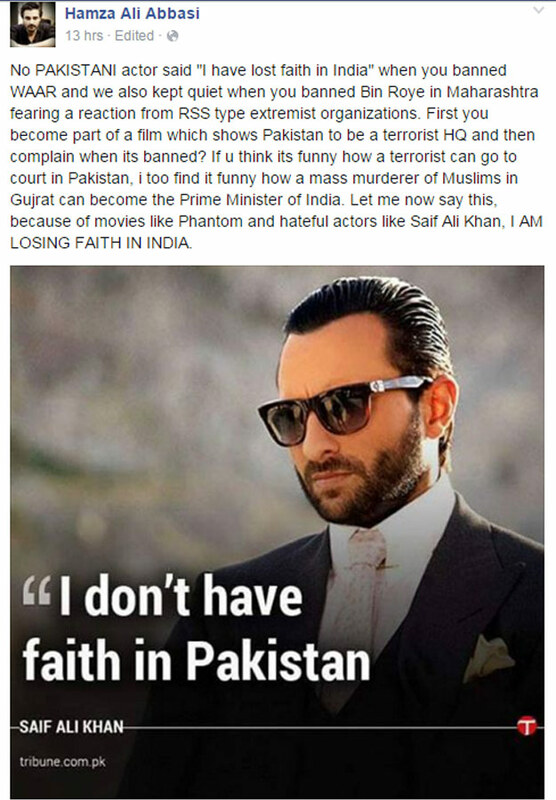 His hate speech and strong reviews came out as a surprise as he bust out against the makers of the film. 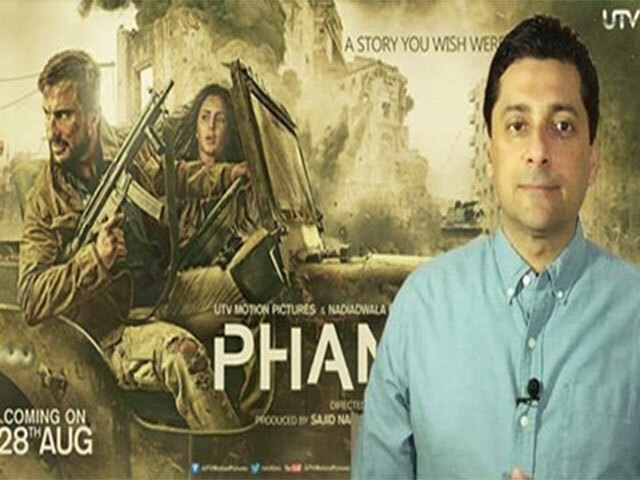 He uploaded a short video on his Facebook page in which he addressed the Indian officials behind the movie and got carried away with his anger as he used some very strict words and language. In a nutshell this movie has triggered some unprecedented conflict between Pakistani stars which is kind of surprising as fighting for something where both parties don’t have an agenda sounds useless.